We both know that flipping is no longer cutting it. 1. This memory foam mattress that'll make you late to all your morning appointments. Try it with this upholstered platform bed frame for $195.99+ (available in sizes twin, full, queen, and king). No box spring required. 2. This green tea–infused mattress meant to eliminate typical mattress odors and feel as plush as the clouds! Psst. I purchased this mattress and bed frame after researching this story. I love them! 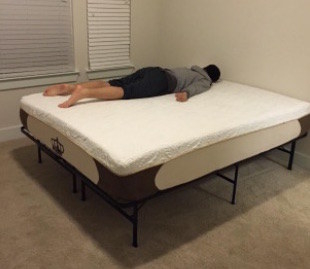 Promising review: "This mattress FAR exceeded my expectations. The bed puffed up almost immediately and was ready to sleep on within a couple of hours. The bed is firm yet soft and supports pressure points. I got the 12-inch and am glad I did. I was also pleased that it completely reduces the motion or movement on the other side of the bed. It is WELL worth every penny. Sheets fit well. BARGAIN!" —Aubrie D.
3. This low-VOC memory foam model that ships rolled up, but will puff up to a firm sleeper. Promising review: "I researched forever, and hemmed and hawed, and finally took the bite on this one. Queen 12-inch. Needed a mattress for the guest room. 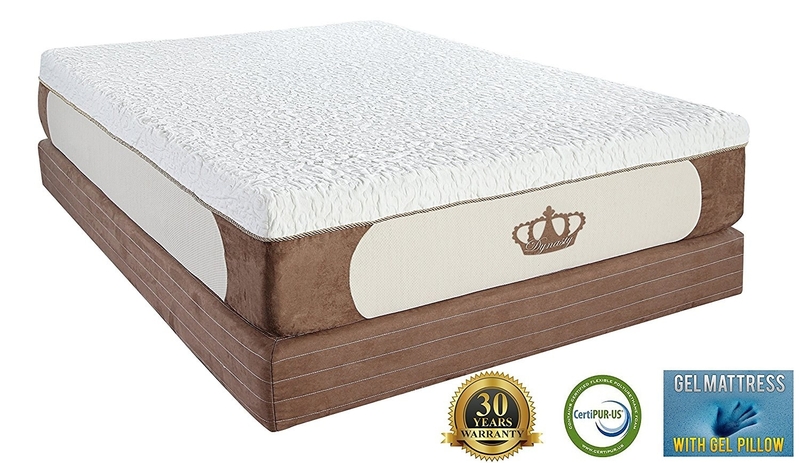 The price was great, fast delivery, nice quality if you like a firm mattress. No off-gassing. Expanded beautifully — to get the corners unfurled I had to unzip the casing it came in to give it some room." —diane a. Try it with this box spring for $85.68+ (available in sizes twin, twin XL, full, queen, king, and California king) and 6-inch platform bed frame for $64.19+. Box spring not required, but reviews say it's OK to use if you prefer one. 4. This medium-firm mattress combining a memory foam top with innerspring support — in case you don't want to go all in with memory foam. Try it with this 14-inch bed frame for $55.08+ (available in sizes narrow twin, twin, twin XL, full, queen, king, and California king). No box spring required. 5. This gel-infused, medium-firm one with temperature regulation that even a discerning pup can enjoy. Try it with this metal and wood platform frame for $128.69+ (available in sizes twin, full, queen, and king). No box spring required. 6. This self-ventilating model that'll sleep cool thanks to gel particles encased in its memory foam. 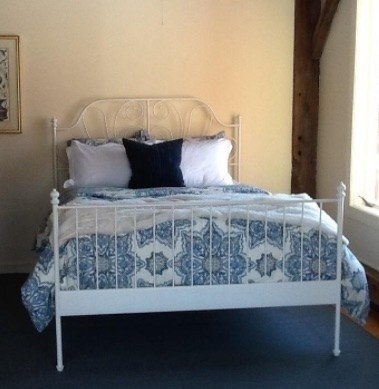 Try an 8-inch box spring for $79.47+ (available in sizes twin, twin XL, full, queen, king, and California king) and vintage-style metal frame for $118.88+ (available in twin, full, and queen). Box spring not required, but reviews say it's OK to use if you prefer one. 7. This firm spring mattress with pressure-relieving foam that won't disturb your partner. Try it with this box spring for $79.99+ (available in twin, twin XL, full, queen, king, and California king) and tufted platform frame for $237+ (available in twin, full, queen, and king). 8. This gel memory foam futon mattress for when you need the versatility of a futon, but want to actually sleep on it. Try it with this wood futon frame for $329+ (available in full and queen). No box spring required. 9. This cushy pillow-top with independently encased coils and a bamboo cover can satisfy those who aren't into the idea of *just* foam. Try it with this premium steel foundation for $87.52+ (available in twin) and industrial canopy frame for $241.99+ (available in queen). Box spring not required, but reviews say it's OK to use if you prefer one. 10. This comfy inflatable mattress that'll save the day next time the family's shacking up at your place for the holidays. 11. This lofty 14-inch hybrid that'll pack the punch of an innerspring *and* memory foam. Try it with this low-profile box spring for $92.83+ (available in sizes twin, twin XL, full, full XL, queen, king, and California king) and heavy duty frame for $55.05+ (available in sizes twin, twin XL, full, queen, king, and California king). 12. 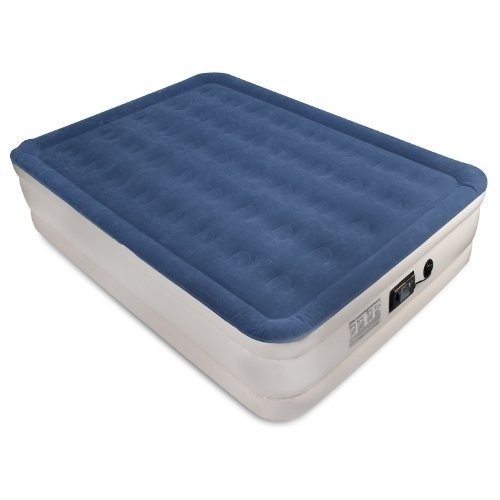 This responsive foam one with a soft cover to make your bed a comfy haven. Try it with this box spring for $85.68+ (available in sizes twin, twin XL, full, queen, king, and California king) and 10-inch metal platform frame for $132.52+ (available in sizes twin, full, queen, and king). Box spring not required, but reviews say it's OK to use if you prefer one. 13. This breezy foam mattress encased in a washable cover. Try it with this faux-leather upholstered platform bed frame for $149.99+ (available in twin, full, queen, and king). No box spring required. 14. This firm-feel foam model with open-cell construction that means the memory foam takes less of a beating — or rolling. Try it with this rustic wood platform frame for $159.99+ (available in sizes twin, full, queen, and king). No box spring required. 15. This pocket-spring mattress for folks who don't wanna mess with a good thing, but love a total steal. Try it with this box spring for $79.16+ (available in thicknesses 4-inch and 8-inch, and sizes twin, full, queen, and king) and modern metal bed frame for $79+ (available in twin, full, queen, and king). Need sheets to go with your new mattress? Check out the best sheets you can get on Amazon or the best places to buy bedding online. You can also check out the best bed frames to get on Amazon if you need somewhere to put that new mattress, and the best pillows on Amazon to finish off your new bedroom setup.